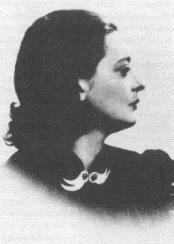 This weekend was the 100th anniversary of Joy Davidman’s birth. An important American poet and writer in her own right, I know about her because she was married to C.S. Lewis. This late, surprising marriage absolutely took over Lewis’ life and transformed his understanding of love. An atheist, Jewish, Marxist, playwright, poet, critic, mother and love–I’ve been struggling to come to terms with this enigmatic and attractive figure. On top of her sheer colour and intrigue, I have the image of Debra Winger in Shadowlands in my mind’s eye. I’ve also been struggling to write a post about it. I’ve reading Lyle W. Dorsett’s Surprised by Love, an early biography of Joy. Still nothing has come. When I saw this brilliant blog by Crystal Hurd, though, I knew I could do nothing better than direct you to her site. In this case, the blog is a talk by Dr. Hurd about the shaping influence that Joy’s presence had upon Lewis. Enjoy this talk, and props to Crystal! …. keep reading, click here! This entry was posted in Guest Blogs, Lewis Biography and tagged C.S. Lewis, Crystal Hurd, Debra Winger, Dymer, Joy Davidman, Surprised by Joy. Bookmark the permalink. Thanks for posting this, Brenton! I think the story of C. S. Lewis and Joy Davidman’s relationship is fascinating. It’s a wonder so few people know who Joy Davidman was. I’ve been thinking about that–who we should know. She was hot in the 1930s, but faded as an artist in the 1940s. Had she continued to grow in WWII and after, we might know her. But, she is a poet primarily. How many poets do you know of the 1000s of American poets in 1930-1960? I know very few!